About SemperThree is an independent website devoted, simply put, to getting the most out of the Playstation 3 Hardware. As difficult as it is, we try to walk the fine line between enthusiasts and fanboys. We feel that Sony delivered an excellent machine for consumers but we are not afraid to admit its faults and help you work past them. 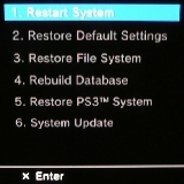 As PS3 owners ourselves for several years, we already had a wealth of experience in the many features and opportunities the console presents. We already use our PS3s for just about everything, so we may as well help you do it too!